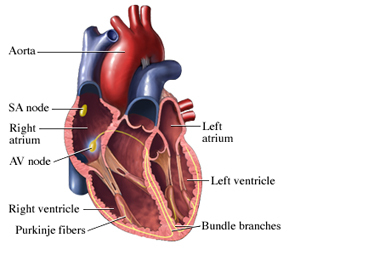 Serious forms of bradycardia, such as complete heart block, are medical emergencies. They can lead to loss of consciousness or sudden cardiac arrest . Treat your high blood pressure and/or diabetes . Bradycardia: Slow heart rate. American Heart Association website. Available at: http://www.heart.org/HEARTORG/Conditions/Arrhythmia/AboutArrhythmia/Bradycardia%5FUCM%5F302016%5FArticle.jsp#.Wh2r8FWnFxA. Updated January 5, 2017. Accessed November 28, 2017. Overview of arrhythmias. Merck Manual Professional Version website. Available at: http://www.merckmanuals.com/professional/cardiovascular-disorders/arrhythmias-and-conduction-disorders/overview-of-arrhythmias. Updated September 2017. Accessed November 28, 2017.